Newsletters | Virginia Beach, Virginia | Mary T Dooley D.D.S. 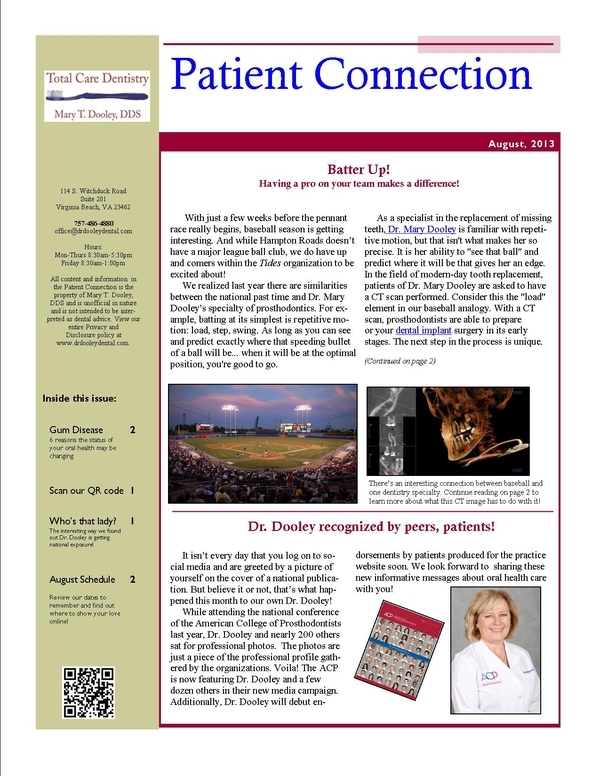 At Total Care Dentistry, Mary T. Dooley DDS, we are proud to produce a monthly newsletter we call "Patient Connection." Here, you'll find each issue. We include information that will not only help improve your oral health, but also keep you informed about dental news, office updates, and even specials we're currently offering!